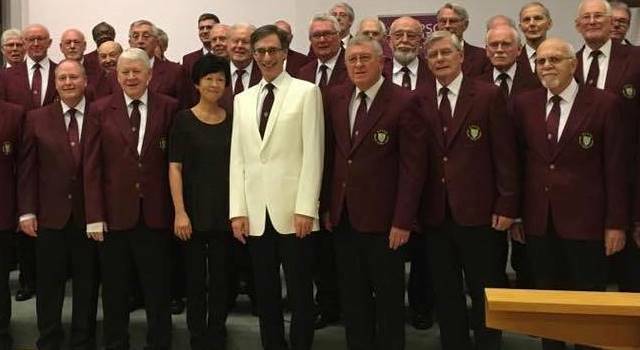 Epsom Male Voice Choir are proud to be back on home turf for its annual Playhouse concert. Epsom Male Voice Choir’s exciting programme of events this year has included delighting the town’s European visitors at the Europe in Harmony Choral Festival, taking part in the world premiere of a new cantata at Dorking Halls, and participating in the Cornwall International Male Voice Choir Festival. For this performance the choir is proud to be back on home turf for its annual Playhouse concert. A lively, fun-packed evening showcases the choir’s wide musical range, and features a mixture of old favourites and brand new material. Our musical guests this year are a guitar duo, Francisco Correa and David Massey.